Laura Robson and Heather Watson won their second round matches at the Japan Open in Osaka. 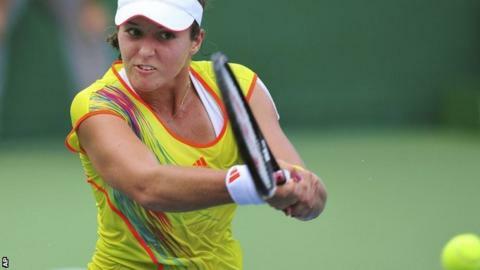 Eighteen-year-old British number one Robson, ranked 56th in the world, beat China's Zhou Yi-Miao 6-4 6-4. Watson, 20, came from a set down to defeat Spain's Anabel Medina Garrigues 6-7 6-2 6-3. She will face France's Pauline Parmentier in the third round, while Robson faces Chang Kai-Chen of Chinese Taipei.